202 Brittain Drive Lake Orion Vlg, MI. | MLS# 218082890 | The premier resource for all real estate information and services in Metro Detroit. JUST UNDER 80’ OF LAKE FRONTAGE ON ALL-SPORTS LAKE ORION! 2,715 sq. ft. + 1,500 sq. ft. walk-out lower level. 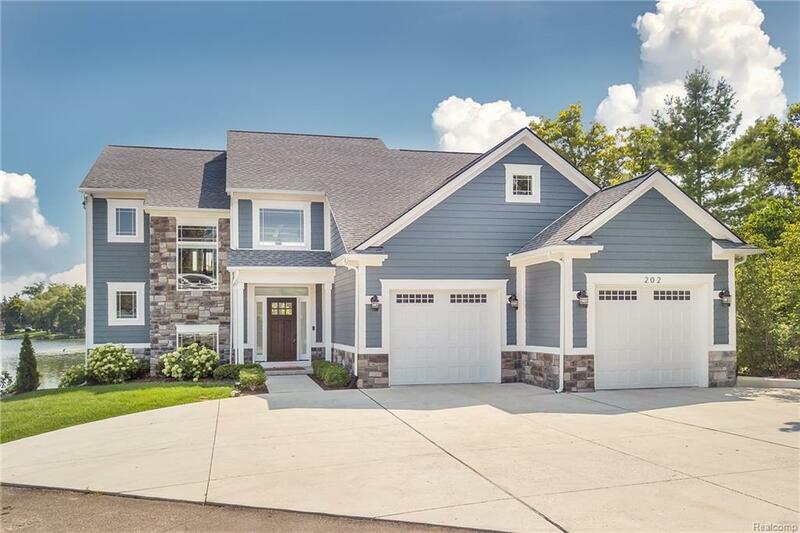 Custom built in 2015 energy efficient-green leaf home, gently placed with wide open views of the bay on famous Lake Orion where summer events are amazing & “Living is a Vacation”. A Driveway that holds 8 cars! Hardy Siding & Stone, Blue Ribbon Schools, Dock right up to Greens 2-acre park & beach, Paint Creek Trail, so much more...BATVAI. Agent is related to seller.